Proper identification and documentation of the pictures and artifacts will continue. Photos of other Lodge treasures will be added later. The Norway Building on California Street in Eureka. 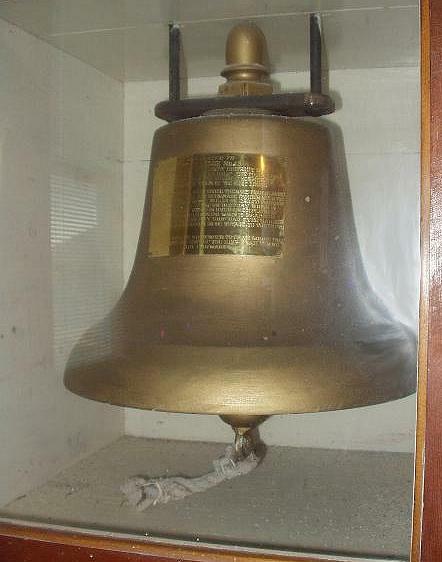 Originally built in 1906 and purchased by the Fram Lodge No. 13 in 1927. Another view of the Norway Building. Before being purchased by the Fram Lodge, this building was previously known as the Normana Hall. At the far end of the entrance hall is this 40 inch depiction of a Viking boat. Model of Norwegian polar exploration ship Fram made by Gust Olson in a display case in the large downstairs hall, left side of stage. Also in the main downstairs room is this large 6.5' x 9.5' original oil painting hanging in the downstairs hall. Painted by William P. Young of Eureka; scene depicting a Norwegian fjord; model was local Valborg Jacobsen (her father would never let her pose so here she was painted from memory). A 6' x 9.5' original oil painting entitled Midnatsolen (The Midnight Sun) painted by Thor Torkilasen, 1911, and hanging in the downstairs hall on the wall opposite the large fjord painting (previously pictured). Another ship model in a glass case set in the wall to the right of the stage. Approximately 2.5' x 2' original oil portrait of the world famous Bergen virtuoso violinist and celebrated composer, Ole Bull. He also tried to found a utopian colony in northern Pennsylvania. Painting by ___ ___. Approximately 3' x 2' original oil portrait of the famous Norwegian writer, editor, and theatre director, Bjørnsterne Bjørnson. He was one of the "four great ones" of 19th-century Norwegian literature. Painting by ___ ____. A 2' x 3' original oil painting of a Norwegian sailing vessel painted by Conrad Sel???? Large original painting of redwoods scene by P. Janet. Another redwoods painting - this one by John Udness. The modern day Viking ship Hjemkomst with crew and sheet music to "Oh, hjemkomst, ship of dreams." This artistic presentation done by Judy Ellingson, 1882. For more on the voyage of the Hjemkomst from the Great Lakes to Norway in 1982, click here. "Rigsforsamlingen paa Edsvoll 1814" - the signing of the Norwegian Constitution which took place at Eidsvoll on May 17th 1814. 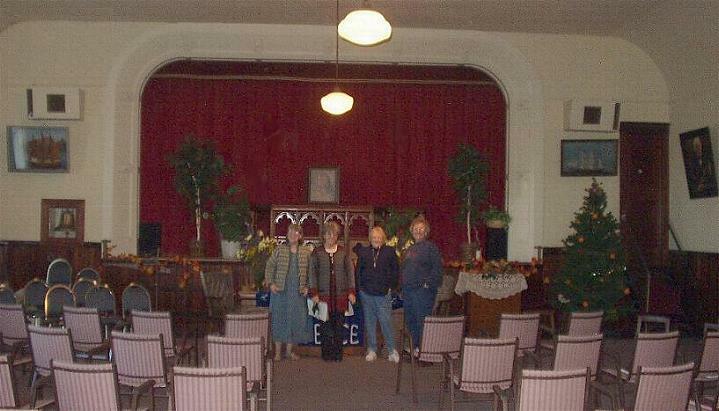 A view of 4 Lodge members in front of the stage in the large downstairs hall now used for church services. The downstairs kitchen with its range hood with rosemaling.